Ponytail hairstyles are comfortable, cute and easy to do. They are a go-to style for all seasons, work on most hair textures, and that’s why we love them so much. There are many cute ways to wear a ponytail – long, short, sleek or messy. We made a list of 30 ponytails that are anything but basic. They will keep your hair styled and in place without too much effort. Enjoy! 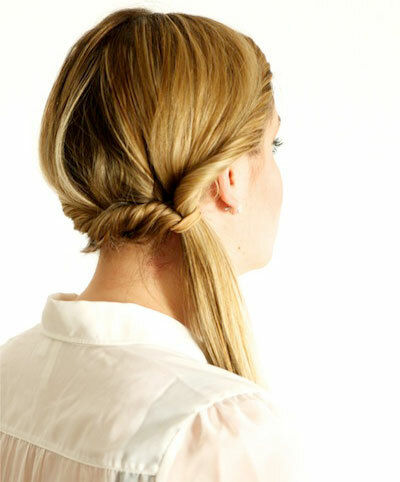 Dutch braid is the easiest and cutest way to spice up a simple ponytail. Ponytails and braids are always popular so why not combine them together into a modern boho look. For this hairstyle, you need to know how to do a Dutch braid. 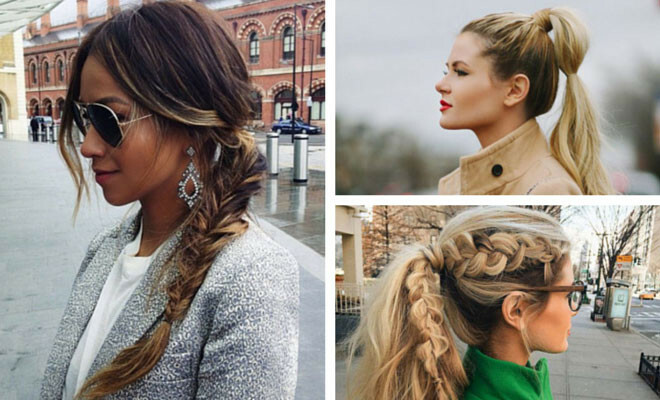 This braid style is actually a reverse French braid. Instead of crossing your sections over the middle piece, your bring them underneath. To achieve the full braid look, gently pull out the braid edges. Tease the ponytail to add a little volume and messy look. Most women don’t realize that ponytail hairstyles can be formal and elegant. Before making a ponytail, tease your hair and create a bump. This ponytail wouldn’t be as sophisticated without big bouncy curls. Secure your hairdo with hairspray and add your favorite chandelier earrings to draw attention to your pretty face. To recreate this look start by braiding a regular, side French braid. Wrap the braid around your elastic, secure it with bobby pin and you’re ready to go. 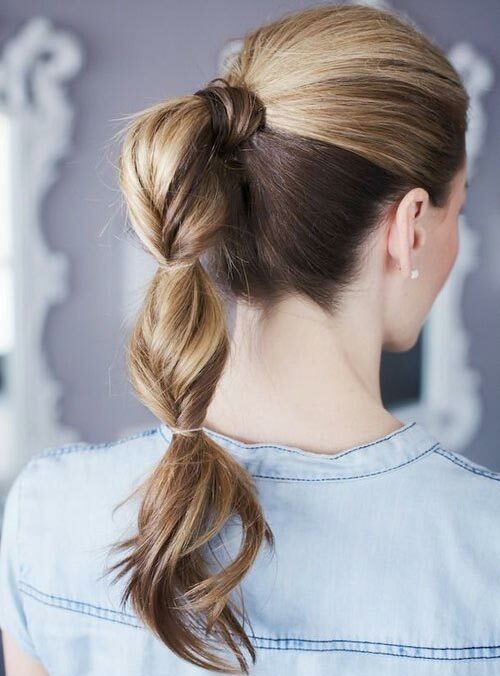 This ponytail is perfect for long hair. Straight your hair and pull it up into a high ponytail. Make sure everything is tight and sleek. Finish the hairstyle by wrapping a piece of hair around the ponytail and secure it with a bobby pin. Simple but lovely! We love this hairdo because it looks effortlessly stylish. This ponytail is a great option for women with thick and curly or wavy hair. Combine twist and a bubble ponytail together for a unique hairstyle. 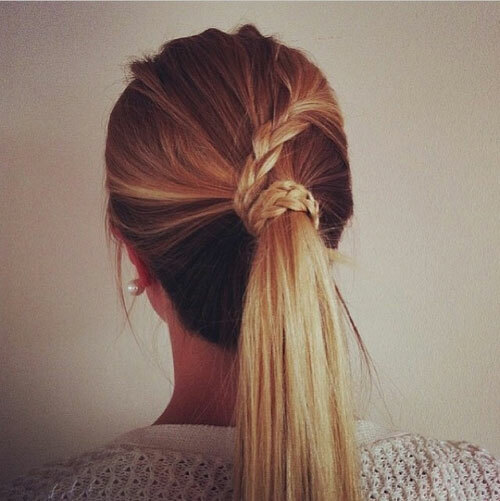 Putting of this cute ponytail is quite simple. Sweep all of your hair back into a ponytail. Twist small section of your ponytail and add a clear elastic. Twist as many as you want/can. 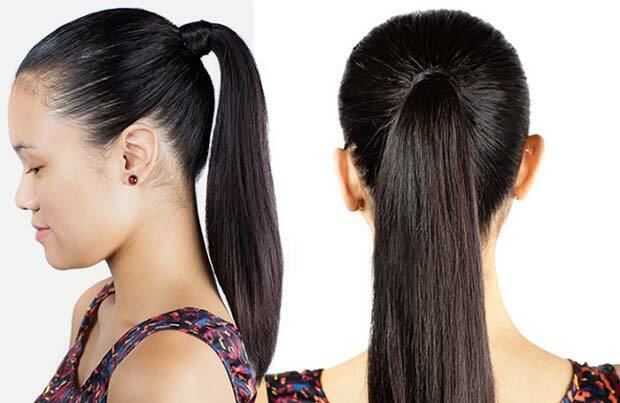 Double twisted ponytail is a stylish way to keep your hair off your face without the use of headbands or bobby pins. It looks good with both casual and formal looks. 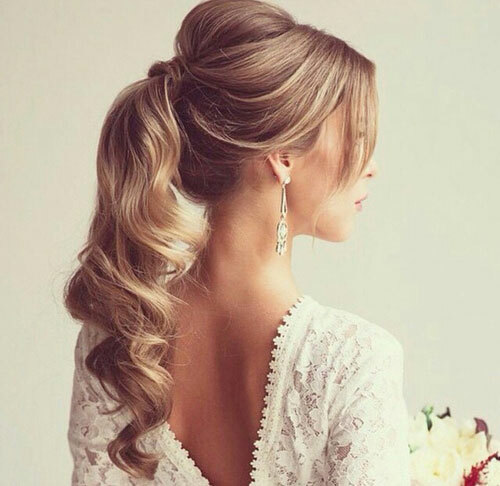 This low ponytail is absolutely stunning! Sometimes a simple hairstyle is the best way for complementing your look. Gold metal headband makes this look on point. Braids and ponytails are our favorite combo. This is a great look for women with slightly longer hair. So feminine and flirty! This bubble ponytail is a super fun hairstyle for long hair. Actually, the longer your hair, the better your bubble ponytail is going to turn out. Check the tutorial for this look here.